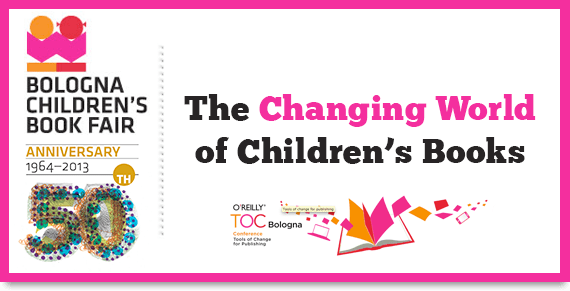 This past week was the 50th anniversary of the Bologna Children's Book Fair and saw our very own CEO and publisher, Dominique Raccah, provide the keynote address at the Tools of Change 2013 event on the day before the fair. In her presentation on "The Changing World of Children's Books" she spoke about how the empowering of children would change publishing as we know it. Interactive platforms, such as Put Me in the Story, are becoming increasingly popular in the U.S. Raccah stated, "We are at a space where books and print and apps intersect. Children respond to interactivity, as do parents because it is part of a virtuous circle of helping their child read." You can view Raccah's entire presentation below.